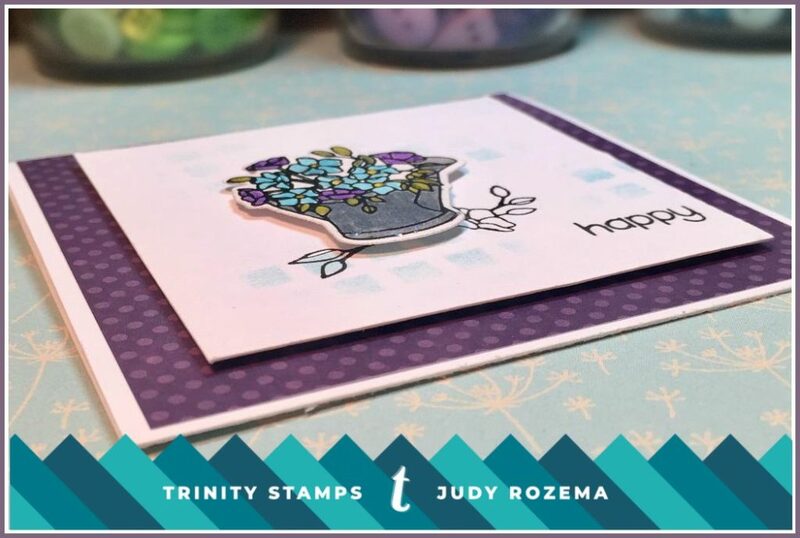 Judy here with a sweet little gift card to spread some floral happiness! 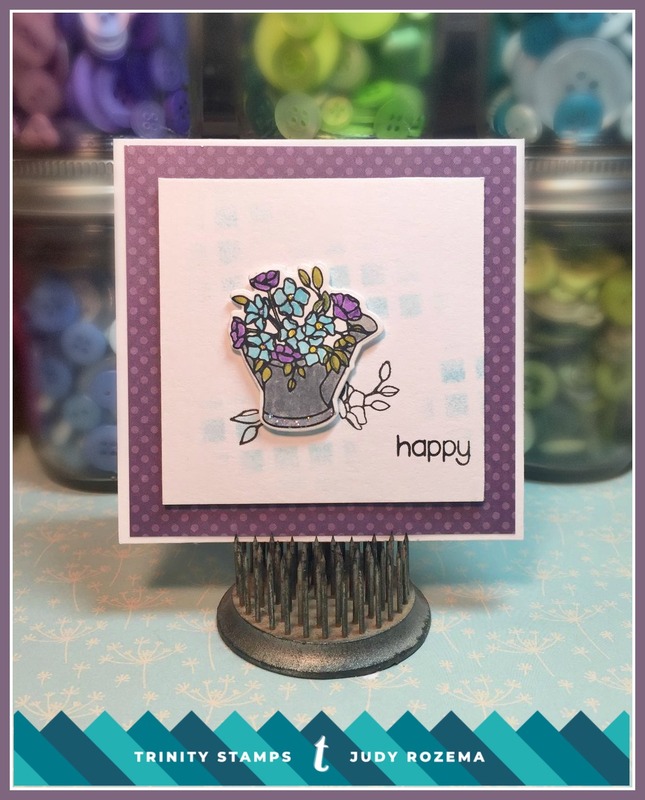 Today I am using the Hopeful Flowers stamp set. It has the sweetest images! 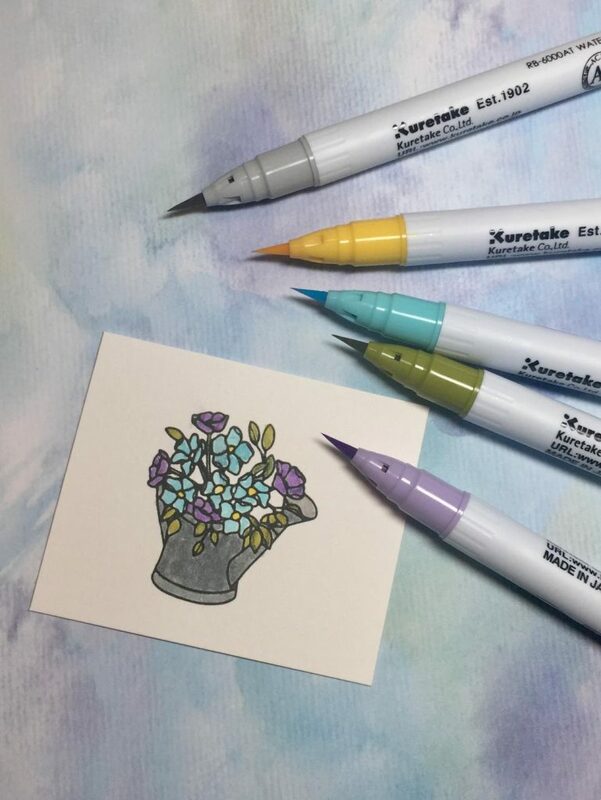 I stamped my watering can bouquet with VersaFine Onyx Black, and then colored in the image using Zig Clean Color Real Brush Markers. I added some Diamond Stickles to the flower centers and bottom of the can. Using the matching dies, I cut out the can and set aside. 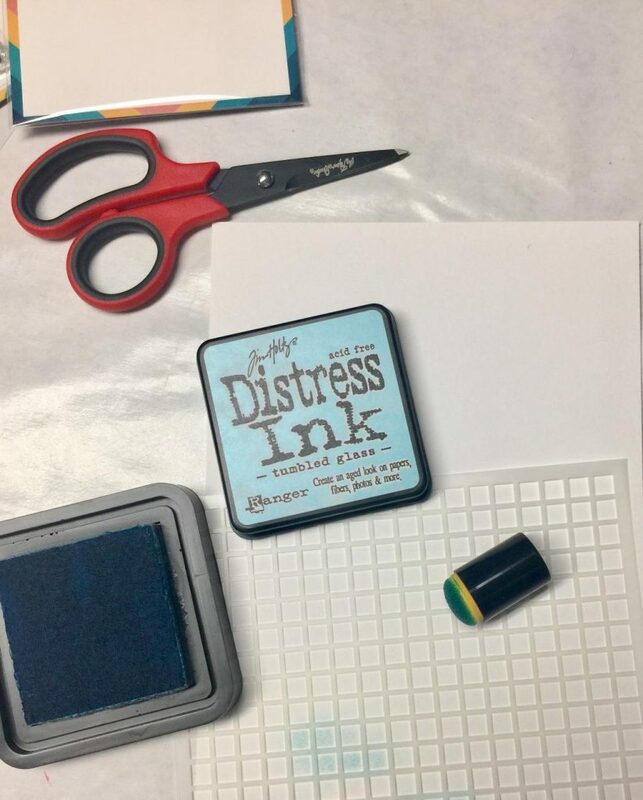 For the base of my CAS (Clean and Simple) card, I took a stencil, and placed it slightly wonky on my cardstock, and then sponged in some Tumbled Glass Distress Ink to give a little depth to the design. 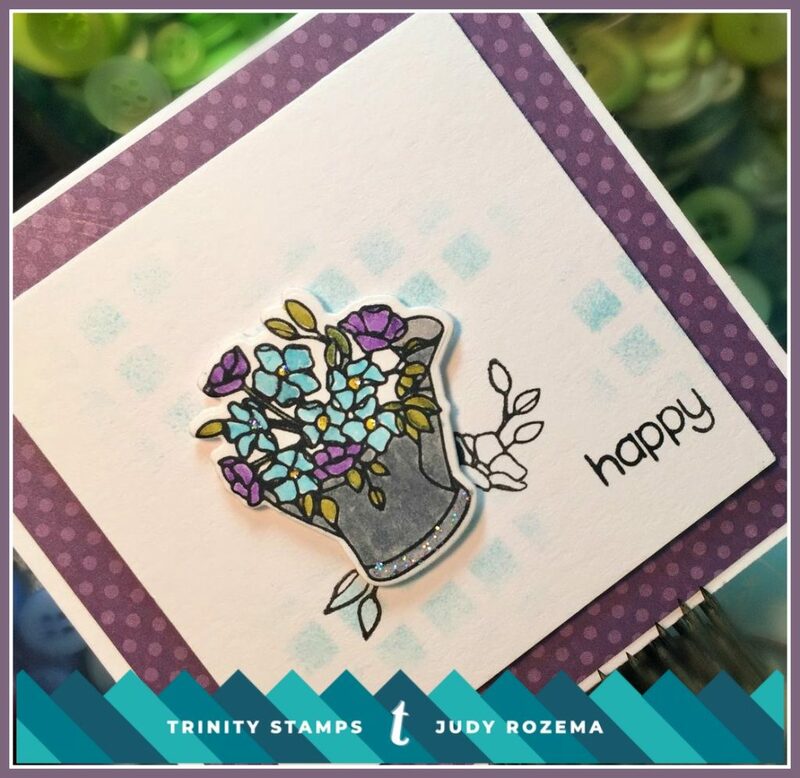 I stamped a couple of additional images and a sentiment word from the Caffeinated Sentiments set – “happy”. I popped up the watering can with foam tape, and adhered it to a base to make a little gift card. I think the recipient will smile! Thanks for stopping by today! I post every other Wednesday, so until next time, come visit me at my blog, Joy in a JAR!